I guess it will be refreshing to see a war drama now. War of Resistance: Qi Jiguang is going to be released today, December 24. Starring Zhu Xiaoyu, Yan Danchen, Yu Rongguang, Ni Dahong, Li Liqun, He Bing, Shao Feng, Jia Nailiang, Yu Zhen, and Kenichi Miura, the story follows the story of the historical general during the Ming dynasty and his fight against the Wokou pirates. Michelle Chen, Yuan Shanshan, Li Xiaolu, and Jia Nailiang for Trendshealth’s breast-cancer awareness photoshoot. More here. Michelle Chen will be starring in romantic comedy Bonjour, Paris 早安巴黎 opposite boyfriend Chen Xiao soon. Li Xiaolu and Jia Nailiang are currently filming a detective romantic comedy Housewife Detective 煮妇神探 from the team of Destined to Love You. Tonghua seems to have hit the sweet spot for goofy and fun romances once more with Destined to Love You 偏偏喜欢你, this time starring Chen Qiao’en she tries to put order into the unruly military class of Jia Nailiang, Bosco Wong, Li Zifeng, Zhang Yunlong, Gao Weiguang, Zheng Shuang, etc. I feel weird about making romantic comedies about the Republican era, but it does look right up my alley. Can you tell who is the owner of the original body for the six identically-bodied men? Shen Tai may be ready to defeat the Huns, but Chen Qiao’en will make men out of the of currently-filming Republican series Destined to Love You. Character posters were released on Friday featuring Chen Qiao’en, Jia Nailiang, Bosco Wong, Zhang Yunlong and Gao Weiguang from Ancient Sword/Yang Mi Workshop, newbies Li Zifeng and Zheng Long, and guest star Zheng Shuang. The popularity of “Where are we going? Dad” have made all celebs more willing to show off their kids. 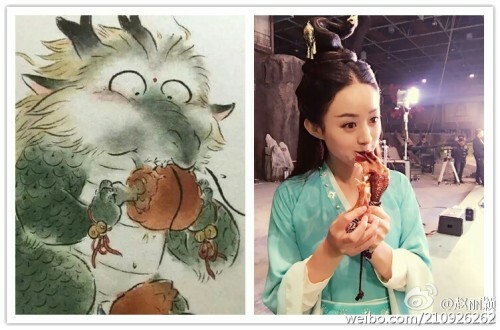 Kids-based weibo’s of Han Han, Vicki Zhao Wei, Yao Chen, Li Xiaolu and Jia Nailiang, and Tian Liang and Zhang Liang. First up is actor Jia Nailiang, of the currently-airing Best Time, celebrating the 1-year-old birthday of his daughter with Li Xiaolu. My goddess, my baby is a year old today, and I feel more happy than I would feel with a hundred of my own birthdays. The birthday of the child, a tiring day for the mom, Lulu, thank you for everything, I love you two. Jia Nailiang, always the romantic, celebrated his first anniversary with Li Xiaolu with a self-produced microfilm. The couple welcomed their daughter earlier in the year. For anyone who missed the proposal last year, watch it here. Why would Feng Shaofeng need to put on a mask in war and not me? I’m so much prettier. An all-male photoshoot round-up? Don’t get used to it. 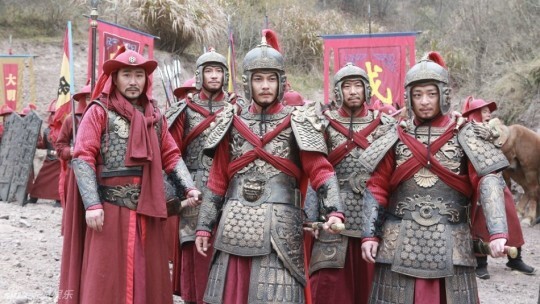 But in this testosterone filled drama season, with the top dramas all being war/uprising dramas like the two Sui-Tang dramas as well as The Legend of Chu-Han, there are actually plenty of male photoshoots this time around. 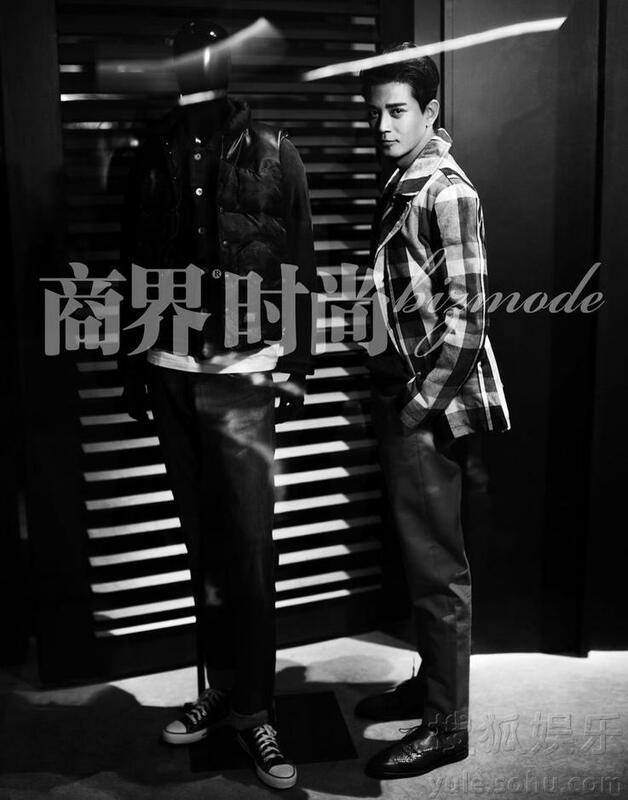 Photoshoots from Zhang Han, Yan Kuan, Jing Boran, Jia Nailiang, Zheng Kai, Chen Xiaodong, Huang Haibo and Han Dong in mostly black and white.